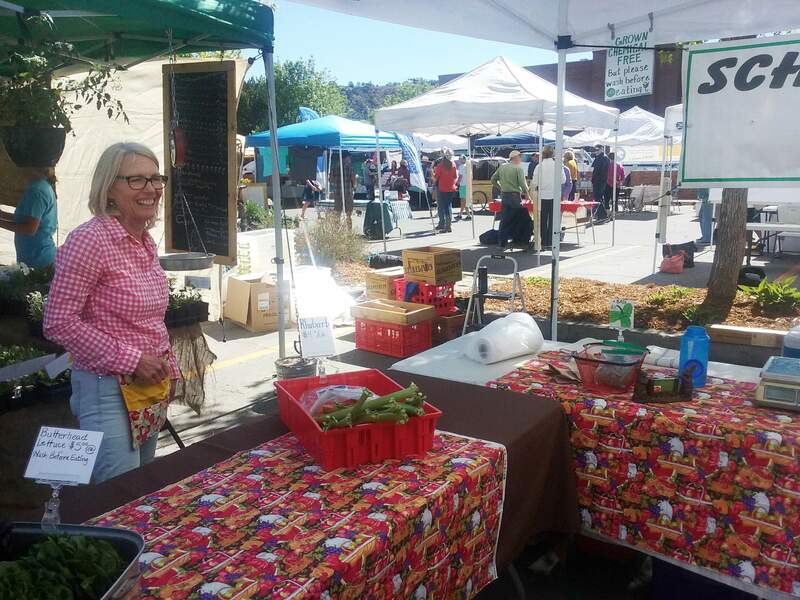 Diane Schwebach runs the Schwebach’s Cedar Hill Farm booth Saturday at Durango Farmers Market. The Schwebachs have been in business in the Four Corners for about nine years. 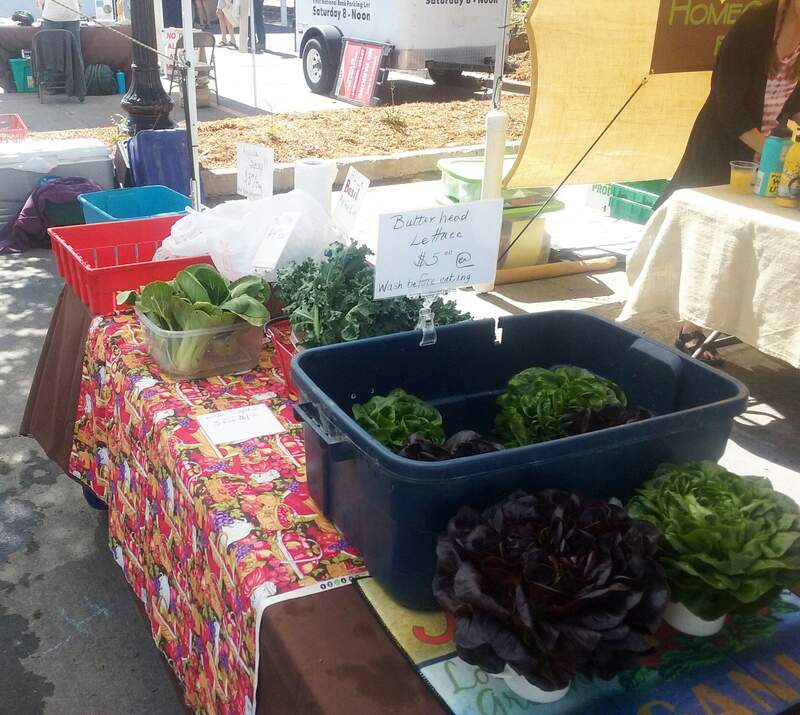 Lettuce and arugula are available at the Schwebach’s Cedar Hill Farm booth. The farm specializes in warm season crops such as tomatoes, cucumbers and eggplants. For Michael and Diane Schwebach, the owners of Schwebach’s Cedar Hill Farm, farming has long been a family business. Before, relocating to Cedar Hill, New Mexico – just across the Colorado border – Michael was a farmer in central New Mexico. “When I moved up here and started a little produce company, I decided to keep the name and move the name to the Four Corners,” Micheal said. Back down south, Michael and Diane’s nephew runs the Schwebach Farm in Moriarty, New Mexico. It is well known in Albuquerque for growing sweet corn, Michael said. Schwebach’s Cedar Hill Farm has been in business for nine years. “Time goes by in a hurry,” Michael said.